One of the Speakers at our Dolphin and E.T. Civilizations Conference in June, 2005 is Dr Richard Sauder. I invited him to be a speaker because I was fascinated by his research of Underground and Underwater Bases. He has been gathering information about these oceanic sub-marine bases for decades. I am interested because I have seen artificial lights down deep in the ocean; large white lights that are approximately 3  5 feet across, facing upward to the surface and illuminating the water. It is difficult to determine their exact size because the movement of the water expands and diffuses the light. As someone who has been swimming in the local waters of the Big Island for two decades I have seen many amazing sea creatures and unusual phenomena, such as whalesharks and giant jellyfish. But these lights remain in one place beaming a continuous stream of light while my boat circles around them. These are not rays from the sun that are everywhere at once. We can swim away from these light beams and return to see them still there. 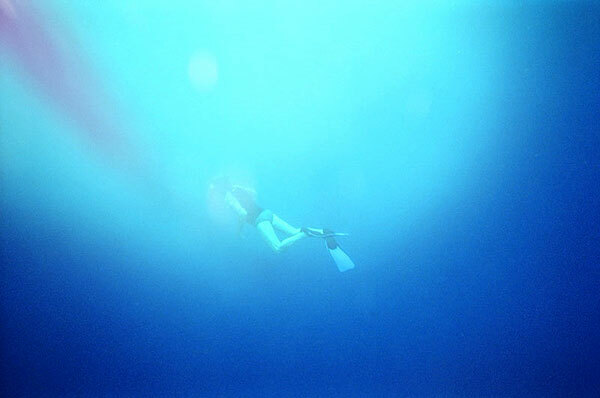 Entering the water and diving down 50 feet, I can see that this bright light is still far below. 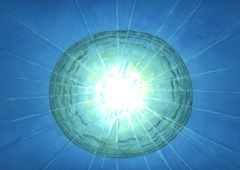 This type of light is seen in water that is more than a mile deep. Many people traveling on boats with me have seen this phenomenon. In addition to these lights, many of us on the Big Island have experienced large, transparent, sphere-shaped Balls of Light as big as a ballroom, while swimming among the dolphins. These spheres are near the ocean's surface when we see them.
. Over the years I have encountered bits and pieces of information suggesting that there may be undersea naval facilities. A former associate of mine who had been in the Navy told me that there are tunnels on both coasts of the United States that submarines enter when they are at sea, and then travel through to secret, underground submarine bases that are inland from the coast. I have been told, time and again, about purported submarine tunnels in the Long Beach, California area that allegedly bore inland from the ocean." The experience, the expertise, the machinery, the trained personnel and the financial means for constructing manned bases beneath the ocean floor have been in place for at least 35 years. Bear in mind that the petroleum industry routinely carries out major industrial operations in deep water, well out to sea. The petroleum industry also routinely bores down into the deep rock beneath the ocean floor"
. In principle there is nothing to stop a tunnel boring machine (TBM) from tunneling out beneath the sea bed, from onshore. Once offshore, beneath the sea, there is nothing to stop the TBM from tunneling along the coastline, miles out to sea - beneath the sea floor. And no one would be the wiser." .. tunneling out under oceans, seas, bays and estuaries has been done for a very, very long time all over the world, stretching back at least into the 19th Century, if not before. Undersea tunnels can stretch for miles, and reach depths of 2,000 feet or more beneath the ocean floor. Of course today's technology is far more powerful and sophisticated than it was 50, 100 or 150 years ago. One can only speculate as to how long, how deep and how elaborate contemporary, clandestine, submarine tunnels might be." These rays changed from parallel lines to curved lines which rotated around a center. An article about them appeared in the United States Naval Institute Proceedings, written by, Commander J. R. Bodler (USNR). My vessel had passed through the Strait of Hormuz, bound for India. The night was bright and clear. The Third Mate called me to the bridge, saying that he had observed something I ought to see. About four points on the port bow, toward the coast of Iran, there was a luminous band which seemed to pulsate. Examination with binoculars showed that the luminous area was definitely below the horizon, in the water, and drawing neared to our vessel. With the approach of this phenomenon it became apparent that the pulsations seemed to start in the center of the band and flow outwards toward its extremities. .. The beams instead of broadening out as they leave the hub, as do all other types of lights except laser beams, appear to continue as parallel bands. These underwater lights appear to have a definite point of origin.  This point of origin invariably seems to be moving. Sometimes the "eye" appears to have moved in under a ship and, to have stayed there for some time, presumably traveling WITH the ship. Seasoned mariners have reported these lights for hundreds of years. Another curious fact is that the whole manifestation may turn either clockwise or counterclockwise; two may be going in opposite directions at the same time; or one may slow down and become dim and then come back, revolving in the opposite direction. This is immensely puzzling. It is not phosphorescence, or luminescent animals, luminous squids or plants. If anything, the source of these lights could be mechanical. A mechanical source could account for the regular beams, of regular width, regularly spaced, and revolving at a regular speed; and beams changing from straight to curved. Any craft that can travel through space should be able to continue on and down into a liquid medium, since said craft must be completely sealed. What better place to land than the bottom of the seas. Perhaps they are all over; perhaps they prefer water of a certain temperature; perhaps they need the enhanced "spin" of the equatorial belt (as in Hawaiian waters-JO) to help in their braking for landings and thrust for take-off; perhaps they just stumble upon locations such as the Indian Ocean, with ready made raw materials in greater abundance than elsewhere. What is the answer? We still know so little about the world in which we live. Report from Elaine T. - Podleader from U.K. I am happy to share this unique and wonderful experience! This morning our pod was out on Veto's boat; we had been in the water three times, watching, sending love and interacting with our dolphin friends and their newborn babies. The dolphins decided to lead us into Airport Bay, and so with reverence and gratitude we followed. This was to be our last dive of the seminar, and the dolphins were ready to play and lead us into the magical world of joy and dreamtime. As they circled, I waited quietly in the water, hovering over the radiant light rays that emanated from the deep blue depths of the ocean, watching the play of light as it flickered and danced. Suddenly, a large circular disc appeared in the depths. The perspective was slightly elliptical, and I thought at first that I was looking at the sand patterns and coral on the ocean floor. Inside the disc were concentric circles such as you would see in an Orb. These circles were pulsing and wavering inside a very clear darker rim. There were also shorter dark wavy line markings around the disc following the circular rings. I watched in amazement as the light beams shone out from the centre of this very large disk. I dove down about 20 to 25 feet to see it more clearly (I thought it was resting on the bottom), and not only did it completely disappear, I couldn't even see the ocean floor, even from that depth. I resurfaced and looked again, and there it was. The wavering pulsing lines gave the impression that it was somehow breathing in and out, like a heartbeat, but more gently. It was golden colored, like the finest sand with shadows or color variations playing and moving over the surface, but all the time surrounded by the big blue. I estimate that from the surface it was at least 15 meters or larger across the radius, having a slightly domed look to it. It was also about 10 meters down, but as I said before, when I dove, it was no longer visible. At this point, another swimmer, Kirsten, came to my side and I signaled that there was something circular below. She confirmed that she could also see it, and told me that she had just seen 5 dolphins dive deeply and disappear completely while swimming over the "ship". It started with me watching the dolphins swimming peacefully in layers (underneath each other) as if they were in dreamtime. I then swam above 5 dolphins, and I watched them as they dived slowly deeper and deeper. It seemed to me as if they disappeared into the light rays in the sea that were coming from the depths. but they had vanished from view. That occurred at the same moment that the other dolphins were swimming out of the bay. I also knew that they would return. Perhaps I was understanding a communication from them. I waited, floating in the light, and I spotted Elaine, who was only a few meters away also lying still in the water. I swam to her. It felt as if we were in a light meditative state. Then she signaled a circle and pointed down to the bottom, and I saw a big circular disc with circles within it. It was pulsing and moving although stationary. It really looked as if it was breathing and pulsing like a heartbeat. Then it disappeared, and came back seconds later. I was so amazed that I was holding my breath, and I wanted to rub my eyes, because I couldn't believe what I was seeing. On a deeper level, I knew what I was seeing. I knew it was an extraterrestrial ship. Then the sounds of the dolphins became louder, and I felt that they came closer from outside the bay. Then I saw the 5 dolphins below coming back out of the center of the light shining from the middle of the ship. This was when the dolphins communicated with me and said "This is the way we do it". As they came up, I followed them and swam along, and then the dolphins, like a reception, surrounded me. What a wonderful goodbye for me! I felt so touched that Elaine and I were together, and that we both witnessed the same thing together. She asked, "Did you see it?" My answer was, "Oh yes, I saw it!" When we talked afterwards, our description of the craft and the entire experience matched exactly.